Fri., Feb. 24, 2017, 5:04 a.m.
SALEM – Oregonians, hold off redeeming your sticky piles of empty bottles and cans for just a few more weeks! On April 1, their refundable deposit will be worth double what you paid. Oregon’s longtime 5-cent deposit on bottles of beer and water and cans of soda paid at checkout will increase to 10 cents on that date, after several years of lagging redemption rates. 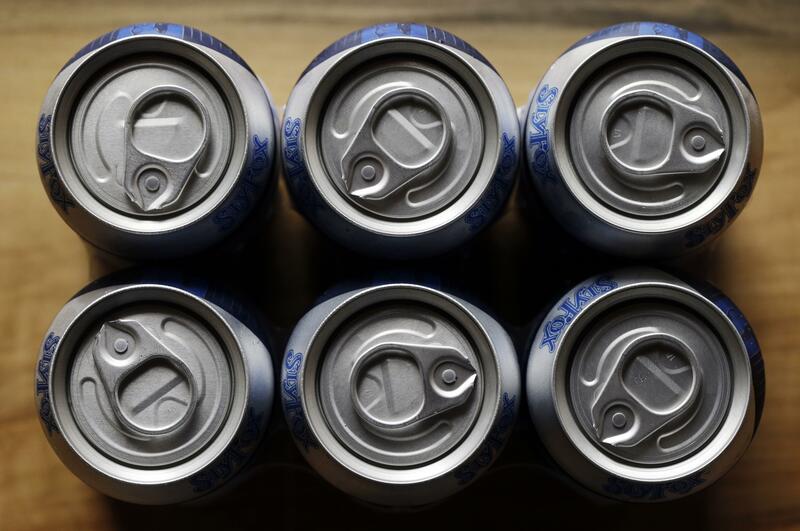 A bill sailing through the Legislature mandates that, starting April 1, every can and bottle may be redeemed for a dime, regardless of when it was purchased or the deposit listed on the label. It’s like Newman’s ploy in a famous episode of the “Seinfeld” television show: redeeming 5-cent New York bottles for the higher 10-cent deposit in Michigan – but you don’t have to do any extra work. And it’s not illegal. The temporary nickel-per-bottle profit consumers stand to make will come out of the pockets of Oregon’s beverage distributors, who collect all deposit proceeds in the state. Paul Romain, their lobbyist, said that, logistically, there was no easy way to limit the dime redemption only to bottles purchased after April 1. Labels and barcodes, which machines scan for redemption, are printed well in advance, he said. “You can’t take a wand and magically change all the labeling at the right time,” he said. So the distributors chose simplicity in exchange for a financial hit – the size of which Romain said they can only guess. “This way is simple. Hopefully it helps the consumer. And doesn’t kill us,” he said. Distributors have been doing very well financially under the bottle bill in recent years. With more and more consumers recycling bottles and cans curbside with other waste glass and metal, or just throwing them away, distributors collected $30 million in deposits in 2015 that were never redeemed, Portland newspaper Willamette Week reported earlier this month . The higher 10-cent deposit could increase that revenue for distributors, although it is also expected to prompt more consumers to redeem their cans and bottles. Michigan, the only other state with a standard dime deposit, consistently has the nation’s highest redemption rate. It has averaged 96 percent since 1990, with a slight dip in recent years. By contrast, Oregon’s redemption rate in 2015 fell to 64.5 percent. The Oregon House approved House Bill 2746 on a 55-2 vote Wednesday. It now heads to the Senate. The April 1 increase to 10 cents already had been put in place by earlier Oregon law. The bill clarifies the transition from 5 cents to 10 cents. Published: Feb. 24, 2017, 5:04 a.m.